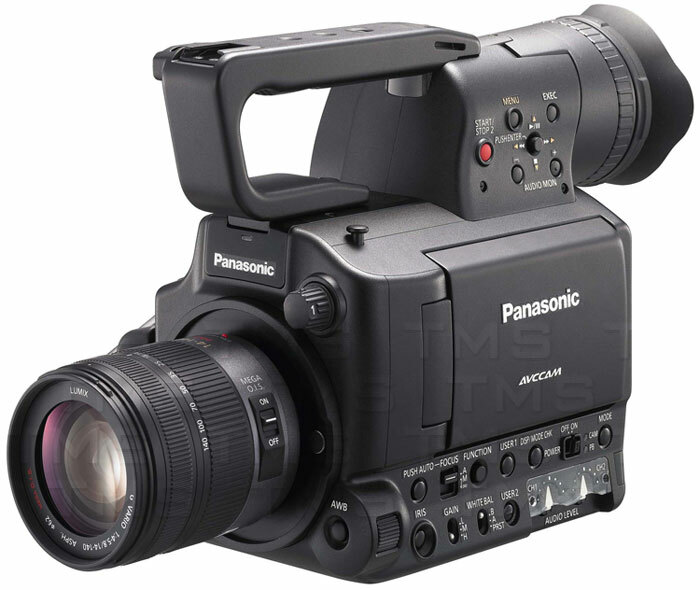 Panasonic AG-AF100 4/3-Inch Sensor Camcorder with Panasonic H-VS014140 Lumix 14-140mm Lens. Starting with a Best in Class 4/3 MOS imager, this camera makes images that have that shallow depth of field for which customers have been clamoring. But unlike the DSLRs, Panasonic engineering know-how has resolved the aliasing and moir that has haunted the DSLR shooter. So the concept of bringing this camera to the market was based on what Panasonic heard and saw customers doing. They were purchasing DSLR cameras because they liked the look of the image, but then agonized over all of the workarounds that that had to go through to come out with a successful High Definition recording. More Pictures and Tech Specs? Check out this AG-AF100 Slideshow PDF from Panasonic. It details light filters, depth of field, and lens mount options. Terminology is that the sensor is 4/3 which means an inch and 1/3, which is obviously a little more cumbersome to say. This is the diagonal measurement and in this application, in spite of the fact that the imager is 4/3 in 4:3 aspects, it is still 4/3 in 16:9. The mount that the camera uses is a micro 4/3 mount which means that there is no mirror in the way like a typical DSLR, and thus the mounting is fairly shallow. 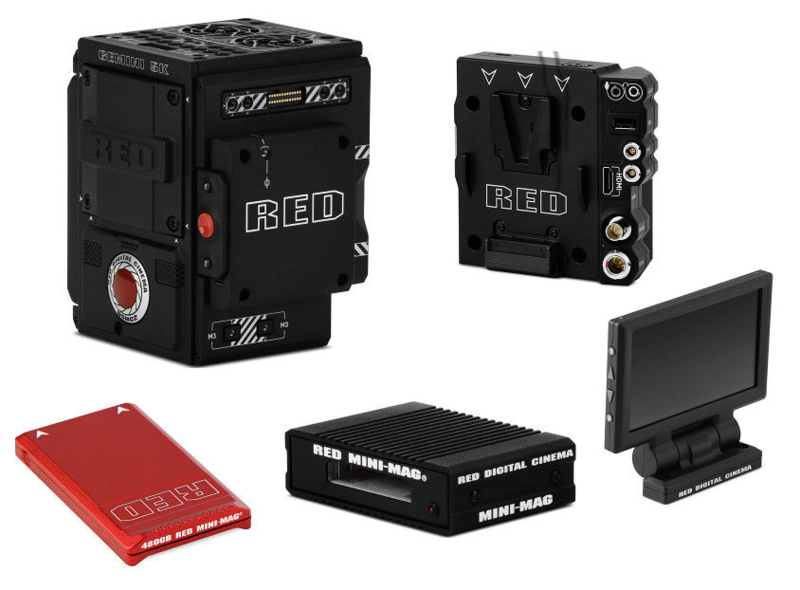 You can take advantage of all of the adapters that have been made to adapt lenses to popular Micro 4/3 still cameras. So there are two issues to come to understand here. The first is how close is the 4/3 imager is in size relationship to 35mm film. The 4/3 imager measures 32.5 across and 35mm fil (movie film, sprocket to sprocket) measures 35mm. In other words, very close. If someone wants to determine what the crop factor would be from a standard 35mm film lens, use .8 as your multiplier. If they want a crop factor for 35mm still lenses that crop factor would be 2X. The second issue is which lenses can be used on the camera and the list is well, impressive. Currently the lenses that do not have adapters are the Canon EOS and Nikon AF lenses as these do not have external iris rings. Virtually every other lens has an adapter including, Nikon, Canon, Olympus, Minolta, Leica, and even PL mount lenses. Please keep in mind that when you do start to put larger lenses on the cameras you need to support the lens with rails and a matte box. Marker ability to mark clips "good" or "no good"